Before today, the last “Marvel” movie (I don’t count the X-Men movies as they’re part of a different movie universe) that I’ve seen is “The Avengers.” I know, some fanboy I am. I hope this is the start of me playing more catch-up as today I’ve - FINALLY - seen Iron Man 3 - today’s entry in FNE Movie Month. And what can I say but I really, really liked it. I love the first Iron Man, but the second one I only watched once and really could take it or leave it. There are some good moments in it, but it just didn’t live up to the first one. 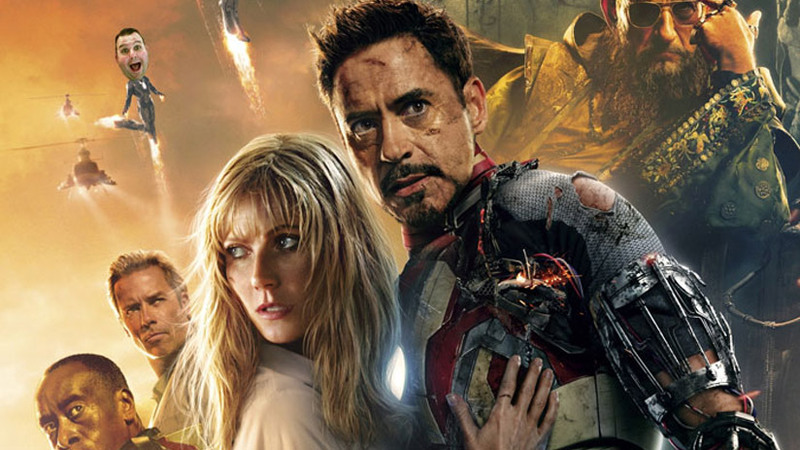 This time around, while maybe (maaaybe) not as good as the first one, Iron Man 3 blows the second one out of the water. New director to the series Shane Black did a great job not only with giant action sequences, but also with a lot of non-Iron Man Tony Stark moments and there were a lot of them. Roberty Downey Jr. shined in this role he was born to play. Everyone around him was good as well, but he is the driver of the truck that is this movie and he delivered both in dramatic moments and in all the comedy he brings with his sarcasm. My wife really doesn’t care for these movies, so most of the time if I’m going to see them in the theater I am going with one of my friends - mostly the same guy I just saw Neighbors with. However, he’s got a 9 year old son - perfect age for these movies - so if I’m not seeing this movie opening weekend with them, there’s a good chance I’m not seeing…So yeah, that’s my excuse for missing this one last year - and for missing a lot of the other movies on this list. But with 18 more movies to watch, I am able to make up for a lot of lost time. And today I was very happy to finally see Iron Man 3. Really a lot of fun, and just a good “looking” movie - and I loved the look of the end credits. Now I need to go…into the Dark World. And I only have a couple weeks to do it! 12 down. 18 to go.